Cover Reveal for BEAUTY INC! Hi there! Today I’m sharing a cover and excerpt for a new contemporary fairytale M/M romance from Tara Lain. 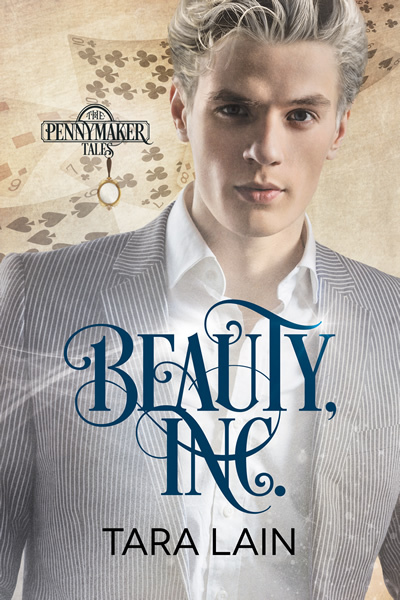 You know I enjoyed SINDERS AND ASH and DRIVEN SNOW so I’m eager to read BEAUTY INC, a retelling of Beauty and the Beast, with a gay twist! Interested? BEAUTY INC releases June 8th, but you can pre-order it on Dreamspinner Press now. This is going to be a very entertaining read! I agree! Looking forward to it!